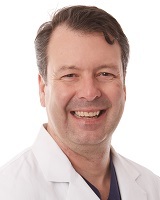 James G. McDowell, Jr., MD, FACS, is a bariatric surgeon at Saint Thomas Health in Nashville, Tennessee. He is certified by the American Board of Surgery. Dr. McDowell received his undergraduate degree from the University of Houston and his medical degree from the University of Texas Health Science Center at San Antonio. His residency was completed at Vanderbilt University Medical Center. He has a special interest in laproscopic weight loss surgery and the intragastric balloon, a non-surgical weight loss procedure. When he is not in the office, he enjoys hunting, skiing and fishing.